W.P.M. 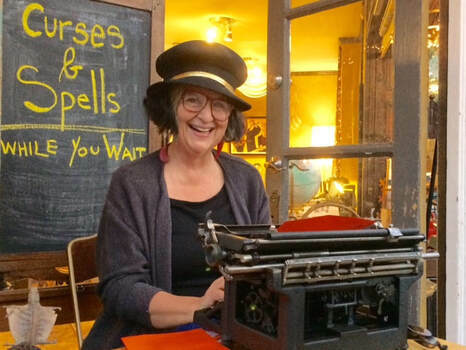 features typewriters for sale, rent, and free practice. Ribbons and repairs, too. We also offer special cooperation with non-profits and public events. Come try any of the 50+ warrantied manual and electric machines showcased in our studio, located in the Moving Arts of Mt Airy (MaMa) building in our special neighborhood. Hi there! Nice to meet you. On the heels of Halloween, W.P.M. 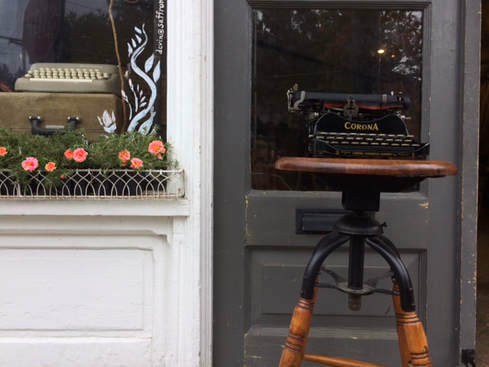 The Typewriter Shop opened in Philly’s Mt. Airy neighborhood, 2017. Who knew that most children would choose a Curse or a Spell--typed on the spot--over a treat? Owner Pamela Rogow, known to have exceeded 100 WPM, slowed the pace on this 1903 Underwood. Halloween this year promises to be a hoot!